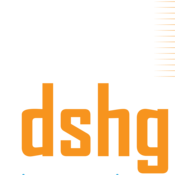 DSHG Sonic was formed with the intention to help startups and small business get an advisory and service partner along their journey to handle some of the most specialized and critical functions. We believe that the entrepreneur or business owner should concentrate on making the product world class during the initial years of their companies growth and leave some of these functions to experts. This will ensure that the business owner and entrepreneur uses their scarce resources on getting premium help for these functions and spend maximum resources on their final product. We are a combination of individuals who have years of experience within the various functions which are described as our services as well as working in startups as well as advising them.